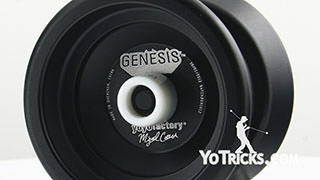 The Wedge Yoyo: Unboxing and Review Yoyo TrickThis is the Wedge Yoyo from YoYoFactory, the new signature yoyo for National Champion Evan Nagao. 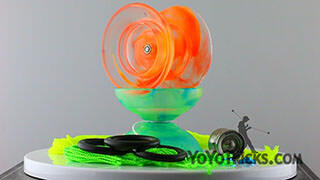 It is made from injection molded polycarbonate plastic with a sturdy metal fingerspin dimple and axle assemble. 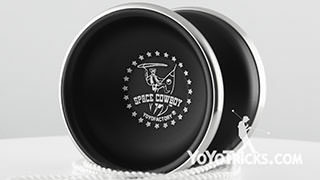 We are really excited about it because this yoyo is really pushing the limits of plastic yoyo design, which I will get into a little bit more detail in just a moment. 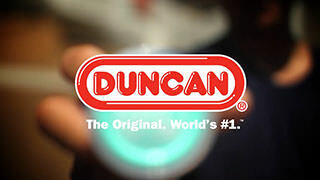 First we are going to take it out of the package and the best way to do that is actually from the bottom. 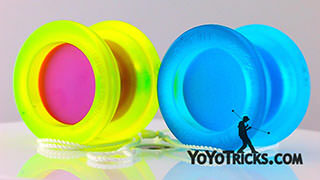 So yoyos that come in these standard YoYoFactory boxes, the best way to get them out is actually to just open these four bottom flaps. 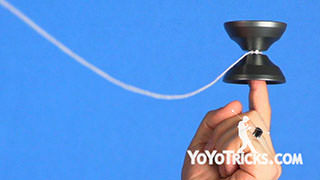 Then you can pull the yoyo out, just like that. 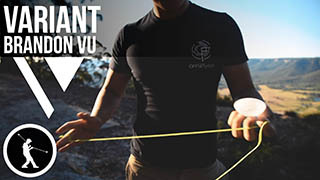 Also included in the package in this little insert, is an informational pamphlet with some basic information, and a string. 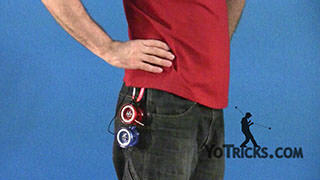 When you first take a look at the Wedge, you are going to notice a couple of things right off the bat. 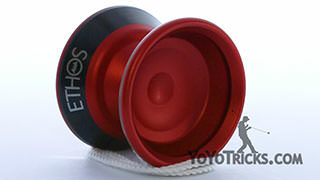 This yoyo has really thick, beefy rims that concentrate a ton of the weight right here on the edge. 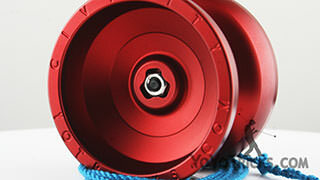 This allows the yoyo to have really remarkable spin times, and just feels powerful on the string. 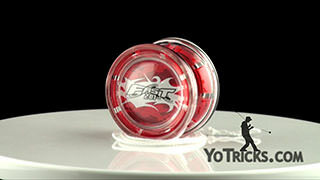 The yoyo is extremely stable and will resist tilting when performing long and complicated combos. 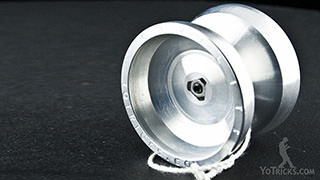 Also, the inner hub area right here has been bead blasted so it is really smooth for doing horizontal fingerspin grinds. 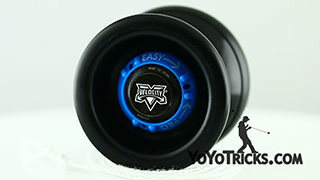 Something that you are going to want to keep in mind is that the polished outer surface of the Wedge works, but is not great for regular grind tricks. The polished polycarbonate makes you feel like you are using a yoyo made out of crystal and it looks amazing, but it can be a little sticky so unless you are using gloves, regular grinds are not going to be that great. 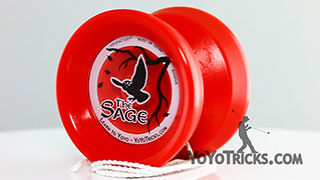 In a lot of ways, the design of the Wedge is based on Evan Nagao’s first signature yoyo, the bi-metal Edge, which is still a top choice for many competitors. 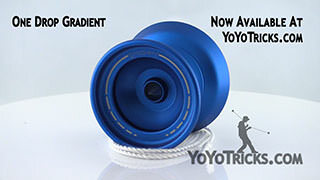 In translating the Edge’s high end bi-metal design into a more affordable plastic yoyo, YoYoFactory took the same basic shape and then moved some of the material to where it needed to be to more closely match the weight distribution of the original Edge. 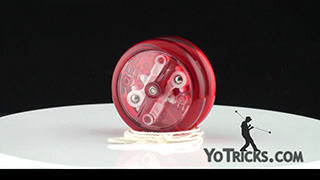 Opening up the yoyo, you will see that it has a standard Center-Trac bearing, 19mm YoYoFactory response pads, and a 10mm axle. 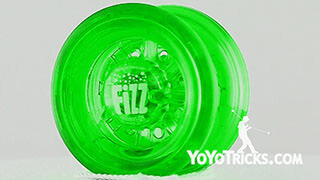 Also worth pointing out, is that the bearing seat is actually an aluminum disk, rather than being molded straight out of the plastic. 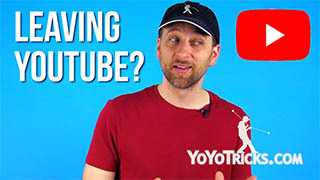 This means that this yoyo resists overtighening more than other plastic yoyos, but of course, we would never encourage you to overtighten any of your yoyos. 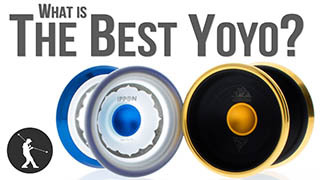 Now, just like with all plastic yoyos, a little vibe is normal, but something that is really neat about the Wedge is that we find that it is really easily tuned. 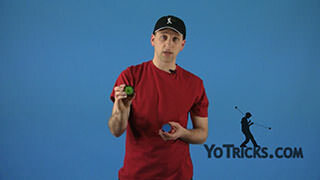 So you can make the Wedge a little bit tighter or a little bit looser until you find that sweet spot where the yoyo spins as smoothly as possible. 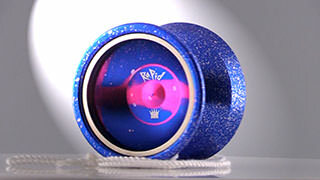 Now, let’s see how the Wedge plays. When you first throw the Wedge, you are probably going to feel a little like Evan Nagao. 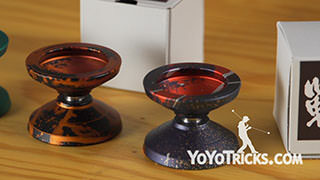 The feeling on the string is dialed in for Evan’s signature large, flashy tech tricks and super cool bangers. 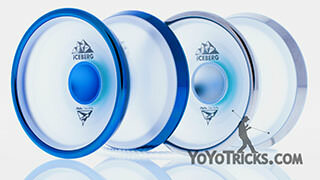 Now one of our favorite things about the Wedge is just how good it is for fingerspins. 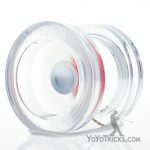 The Wedge has this really wide fingerspin catch zone, so it is very easy to catch and as soon as you do, your finger goes right into the center of the yoyo onto that aluminum fingerspin dimple. 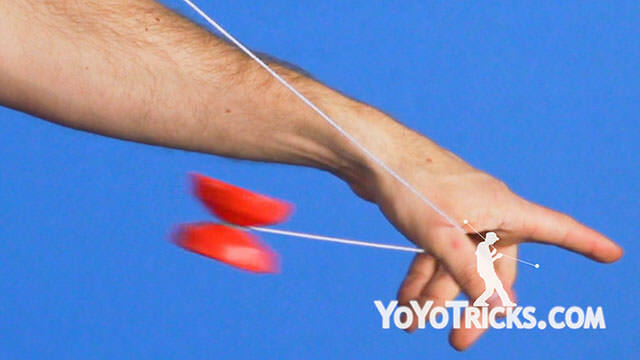 Because you have so much room to move your hand underneath the yoyo, you can either have it right on the tip of your finger, or you can slant your finger back a little bit so it is just on your fingernail. 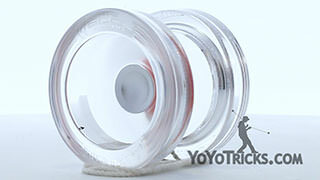 Let me just say, because of how powerful the spin on the Wedge is, fingerspins feel super satisfying. 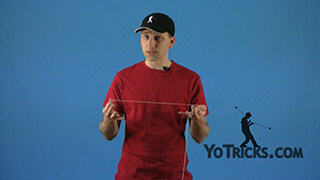 Now, another cool thing about the Wedge is how good it is for horizontal tricks. 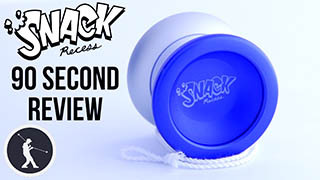 Now, because of how wide the Wedge is and because of how stable it is, we really feel like the Wedge is one of the best plastic yoyos on the market for doing advanced horizontal tricks, and it is seriously impressive. 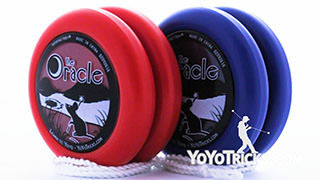 The Wedge yoyo comes in three awesome colors and is available now on the YoYoTricks.com store for both US and International customers.